Do Ghosts Require the Christian God? Aside from the question of whether they must be supernatural (assuming they exist at all), another thing about ghosts that I find interesting is how some Christians assume their god is necessary to explain them. I have had several interactions with Christians in which I have been told that ghosts require an afterlife and an afterlife requires their specific god. Neither of these assertions is well supported, and both seem more than a little desperate. Does the existence of ghosts require an afterlife? Maybe, but I think that would depend on what one means by "ghost." If we limit our understanding of ghosts to the continuation of a formerly living personal identity (i.e., the mind of the ghost is identical to or at least extremely similar to the mind of a previously living human), then it would seem like an afterlife would be required. But I'm not at all sure that is the only way one could understand ghosts. Perhaps a ghost is not a continuation of a personal identity but a transformation of something that previously existed into a new entity. Or perhaps a ghost is something more like a residue of energy and is not a sentient being at all. Some of these possibilities would not seem to require anything like what most Christians would accept as an afterlife. Would the existence of an afterlife require the specific god in which Christians believe? I don't think so. Most religious traditions posit some sort of afterlife, and this was true for those that predated Christianity. I see no reason why we'd need to limit ourselves to one of the Christian versions of an afterlife (I assume there are many because there seem to be many versions of almost anything in which Christians claim to believe). Too many other religions have their own versions of an afterlife. Any would do. An afterlife, even if one could be proven to exist, would not require the Christian god any more than it would require any other of the gods humans have worshiped during our time on this planet. Part of what is going on here might just be ignorance and a lack of imagination. Despite our best efforts, some Christians are still confused about the meaning of atheism. They may think that atheists cannot believe in the supernatural. Of course, they should be forgiven because there are atheists out there who are equally confused about atheism. Atheists do not believe in gods, but this does not prevent us from believing in all sorts of other supernatural entities (e.g., souls, spirits, ghosts). These beliefs might not be terribly common among atheists, but some atheists do believe in ghosts. If there are at least some ideas of ghosts that do not require gods, then there is nothing irreconcilable about atheism and belief in ghosts. 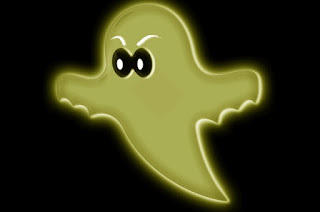 It is true that many atheists do not believe in ghosts for the same reason they do not believe in gods (i.e., lack of evidence), and I count myself among them. But this is not a requirement of atheism. If someone decides that there is not enough evidence to support god-belief but that there is more than enough to support ghost-belief, that does not make him or her any less of an atheist. And while I do not find any of the claimed evidence for the existence of ghosts to be compelling, I will acknowledge that I find the idea of ghosts to be far more plausible than the idea of the Christian god. I realize that's not saying much, but I thought I should put it out there anyway. Next, we'll consider the question of how we would know if ghosts existed if they did in fact exist.